What insect spray can be used to keep them from coming inside the house. Example: raid, bop……. 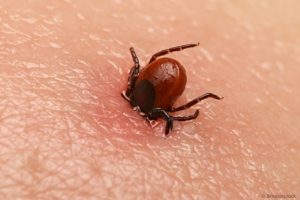 At the moment i don’t know of any insect spray in Jamaica that can repel ticks from coming in your house, its best to check your body after going into tick infested areas or if your animal interacts with you often.